We have always loved travelling and holidaying during our precious weeks of annual leave and now that Dexter is with us, nothing has changed. We love spending hours trawling the internet finding cheap flights, luxury accommodation and reading everything there is to know about our destination, and we embrace taking a toddler away to experience new sights, smells, tastes and local culture. The Balearic island of Mallorca was the first place we flew to as a family. A mere two and a half hour plane journey takes you to a magical place where the sun always seems to be shining and the people seem to always have a smile on their face. 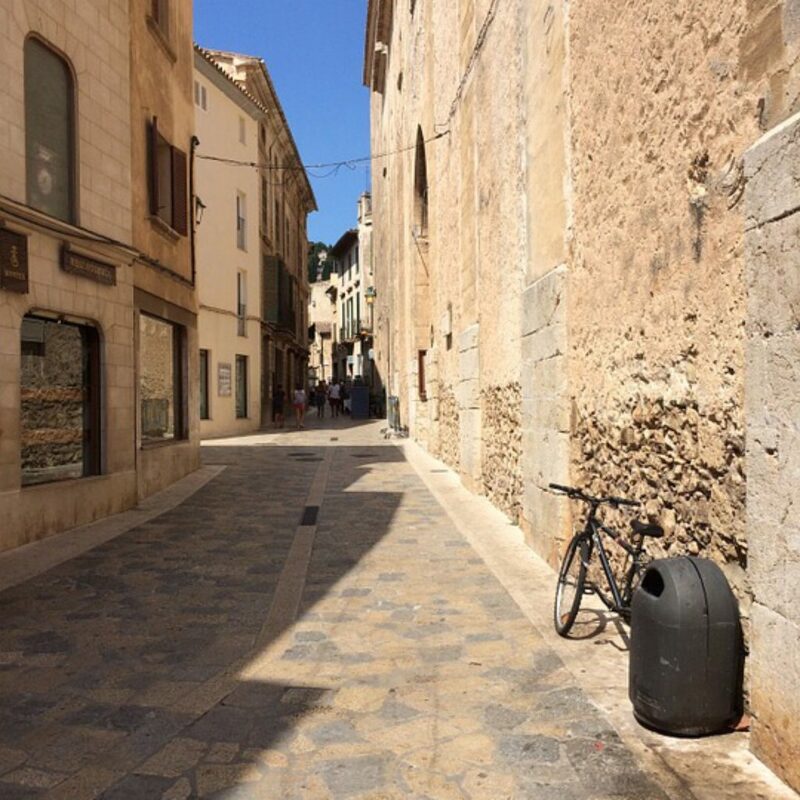 There is so much to see and do across the island and here I have created the perfect itinerary for a four night getaway in Mallorca with a toddler. 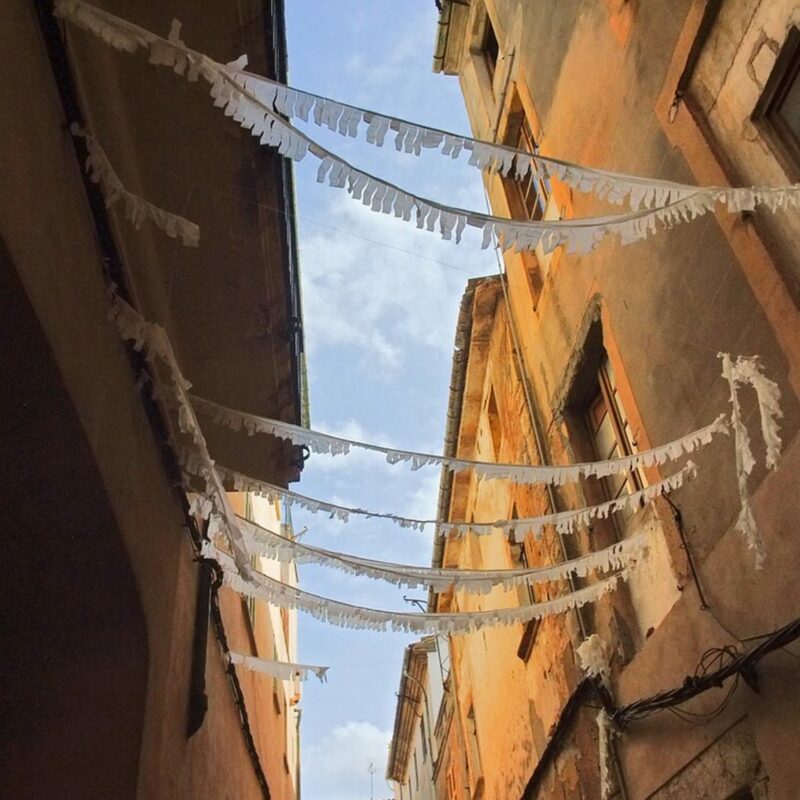 Finding accommodation is the first step after you have secured your cheap flights (Both Ryanair and Easyjet fly to Mallorca from most major airports). Clickstay offer villas to rent all over the world and have hundreds available in Mallorca. 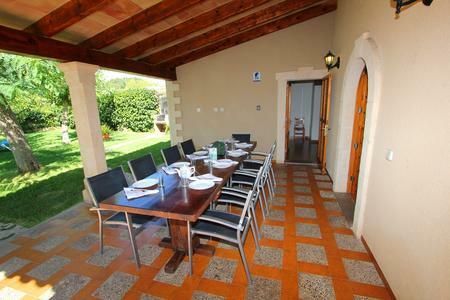 I love this villa in Pollensa which is super cheap to rent for four nights, comes with a pool and has the option for indoor or alfresco dining of an evening. Renting a villa is my preferred choice when it comes to holidaying in Europe as you get privacy around the pool and the choice of self catering in a homely environment. If you do decide to stay in villa as opposed to a hotel, I like to make things easy by ordering a grocery delivery before I travel to be delivered the day after I arrive. AlCampo is Mallorca’s biggest supermarket and offers grocery delivery, although a small amount of knowledge of the Spanish language is needed when navigating their website! I also like to rent a car when I’m staying in a villa and I highly advise prebooking before you travel to avoid hefty fees. Use a comparison site like Kayak to find a good deal and of course use TopCashback to earn a few pennies. I’ve got a lot more tips for planning a trip with a toddler in this post including packing smarter, the best ways to take travel money and preparing for a flight with a grouchy baba so do check it out. Catch an evening flight out of the airport of your choice. I like to take the 8pm flight out of Liverpool as it leaves at Dexter’s bedtime so he sleeps for most of the journey. Once landed, pick up your hire car and drive to your villa. Have a good night’s sleep and get ready for the fun that’s to come. How exciting! Wake up at 6am and get ready for the grocery delivery you ordered before you came. (I hope you ordered lots of yummy tapas, ice cold beers and fresh bread!) 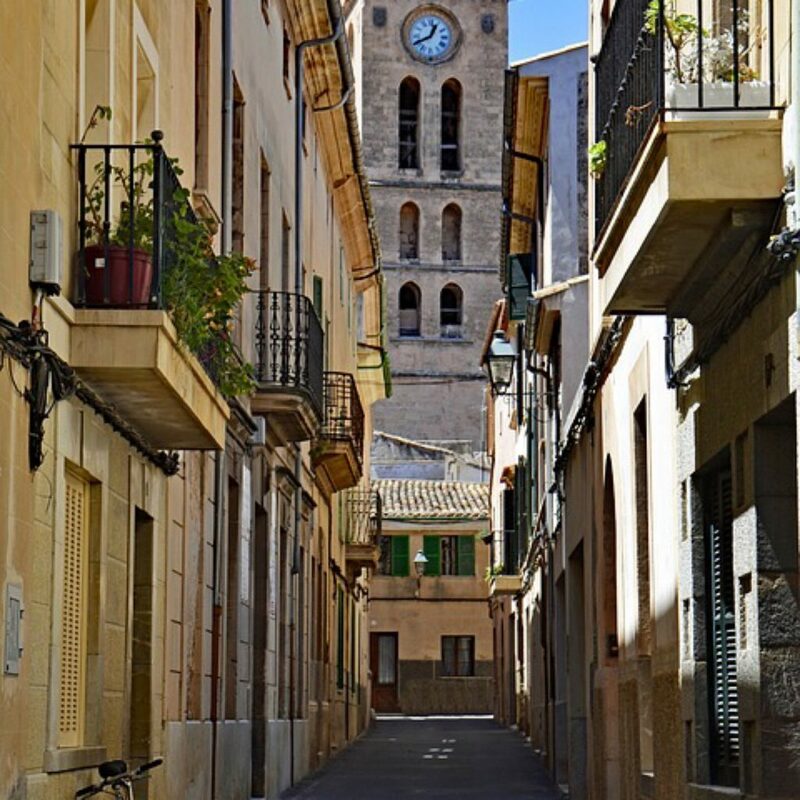 Once it’s all put away and you’re well fed it’s time for some exploration and I recommend starting in Pollenca town. On a Sunday there’s a bustling market which fills the town while the townsfolk sit in local cafes relaxing and taking in the sights and smells. Enjoy exploring the winding cobbled streets and make sure you have your toddler carrier with you for when those inevitable cries come. Fill up on pastries and ice cream from local delis until the early afternoon before heading back to the villa for a well deserved siesta. The rest of the day can be spent enjoying your private pool or sunbathing with a book in hand. Eat as a family for your evening meal and once the kiddies are tucked up in bed, have a few vinos outside on the terrace, relaxing in the warm evening breeze. After a filling breakfast, head to Katmandu Park in Magaluf for a fun packed day for all the family. (You can read Jane’s first hand experience of Katmandu Park and the adjoining hotel here.) There is an under water themed soft play suitable for toddlers which is actually the biggest soft play centre in Spain. After your 90 minutes is up why not head to the Katlantis Splash Park and have some water based fun with your littles. I’m pretty sure after all that they’ll be knackered, so it’s back to the villa for another siesta, relaxation by the pool and preparation for another meal together as a family. It’s another early start because lets be honest, how many toddlers sleep in past 7am anyway? After a yummy breakfast, head into Palma and visit the amazing aquarium which has more than 8000 animals. (Read more about Nick’s experience in Palma Aquarium here) When you get bored of all of the fish, there’s an indoor play area for the kiddies while the adults relax with a coffee in the cafeteria. 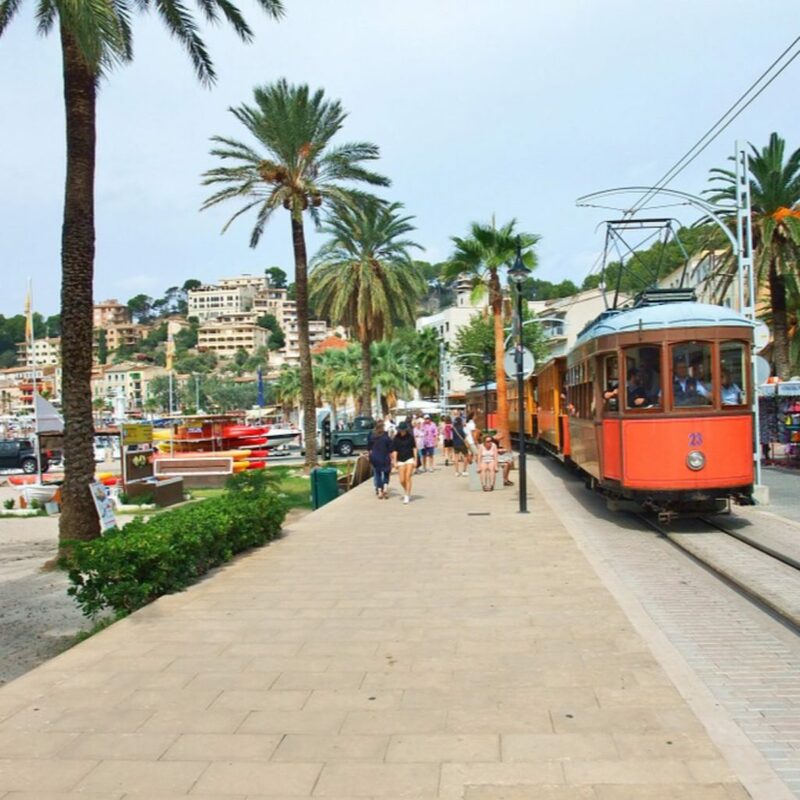 Three hours should be long enough at the aquarium so after grabbing lunch why not take the wooden train to Soller? The views across the mountain range are unparalleled and the hour long journey will probabaly give your toddler enough time to have a little snooze. Return journeys cost €25 per adult. 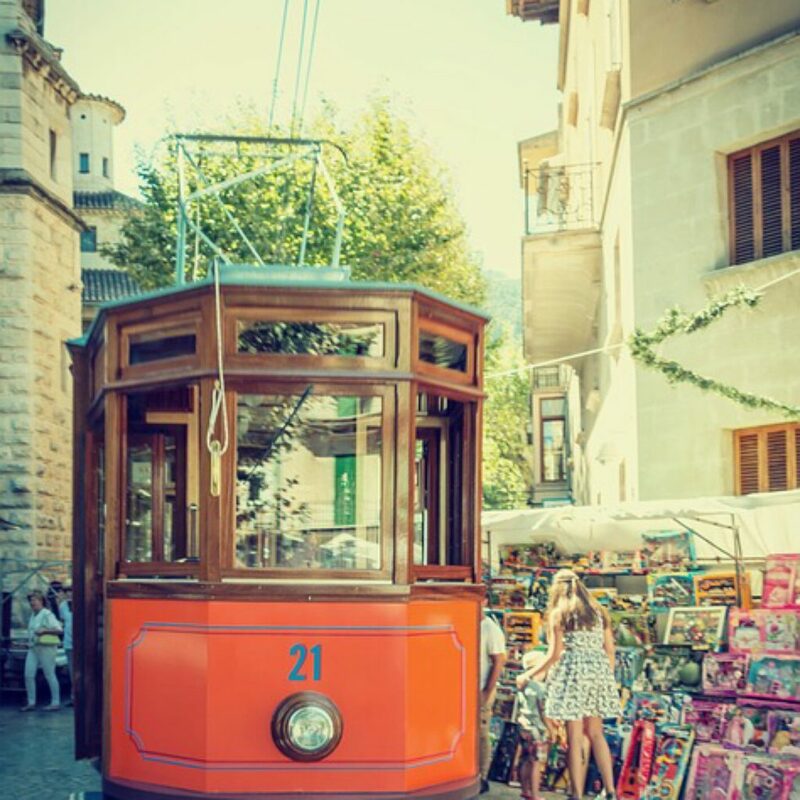 Once you arrive in Soller you can then take a tram down to the town itself. Eat some tapas on Placa Constitucid before heading back to Palma and driving home ready for a good night’s sleep. It’s the final day! After packing up the majority of your belongings, spend some family time in the pool or relaxing on the terrace before driving back to Palma airport to drop off your rental and get ready for your flight home. I always like to get a later flight so the toddler can snooze but make sure you have that iPad charged up just incase! I’ve never been to Majorca, but it looks beautiful. Your villa is amazing, perfect for little ones. I’m glad you had a lovely time! Great tips. We are hoping to do a villa holiday next year. After reading this I will definately do the food shop tip. Some really great tips. It’s an island that I haven’t considerd as a destination for a family holiday but this post has changed my thinking! So much to do and it looks like a really pretty island too. 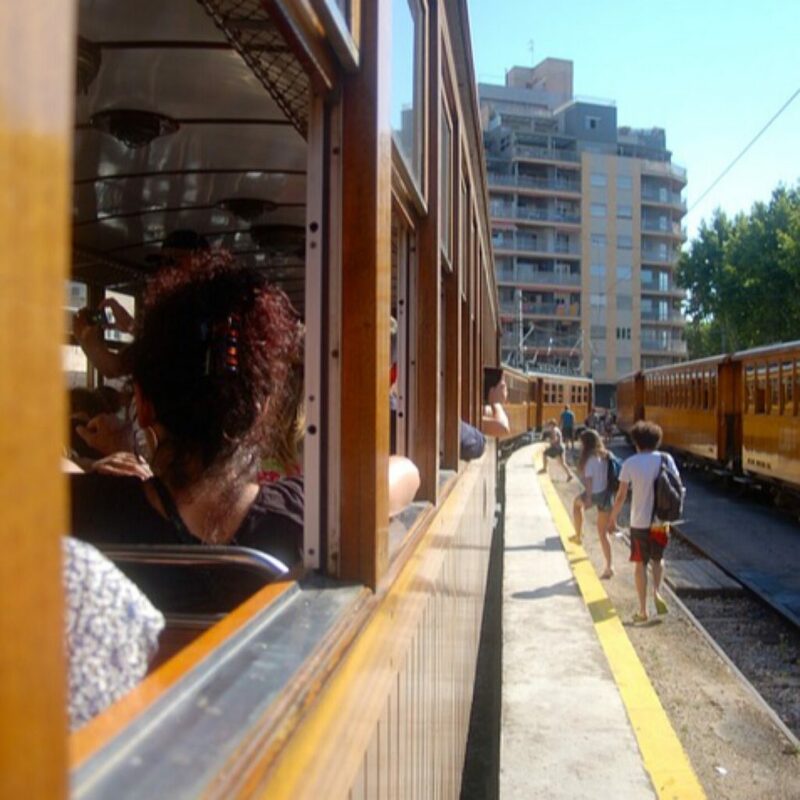 Love the trams. Sounds like a great tip. I had no idea you could order groceries online before you go. Rhe aquarium sounds fantastic for toddlers. Great tips! I’ve never been to Mallorca, it looks beautiful. We love a villa holiday it gives us so many more options as a family. The food shop is a fab idea, I would never think to do that! Oh I love this guide! You really have thought of everything – even down to ordering the shopping before leaving home. What a clever idea. The aquarium is always a fun family day out! This looks lovely – we try to not travel further than 3 hours on the plane as the kids get so fed up so this sounds perfect! Also ordering groceries for when you arrive is such a great idea! I will be bookmarking this post for future holidays.